With fall around the corner, I was in the mood for some “fallish” muffins. These muffins are just right, and I love a muffin with a good topping! Since my son is allergic to eggs, he enjoyed these too.The applesauce takes the place of an egg. If you want to use eggs instead, substitute 1 egg for the applesauce. Mix flour, sugar, baking powder, salt, and pumpkin pie spice. In another bowl mix together applesauce, milk, and melted butter. Stir wet ingredients into dry ingredients until moistened. muffins into the sugar and cinnamon mixture. I hope you enjoy these muffins! Those look good! I love all cinnamon and pumpkin flavors of fall! Wow I never knew you could replace eggs with applesauce, what a handy trick to know! 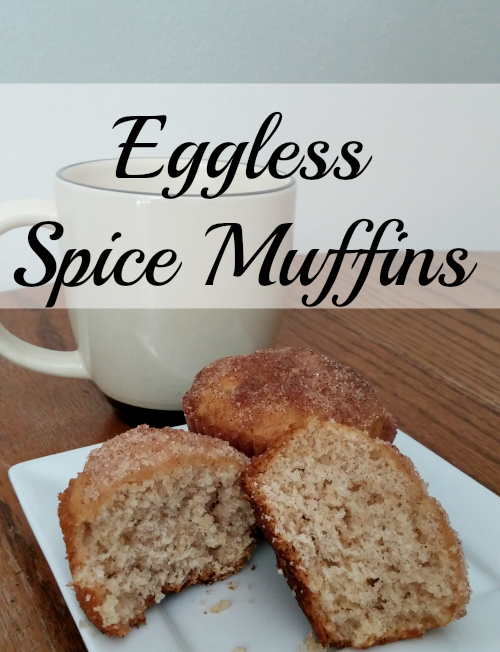 Thanks for sharing this recipe and linking up at Talented Tuesday. Hope you are having a great day! Yes, it really only works in recipes like muffins because the eggs/applesauce are for binding purposes. I always enjoy the Talented Tuesday link up!